Rooms, services The guests of Hotel Móló Siófok may stay in 37 nicely furnished, comfortable rooms in Siófok. With child-friendly services being available the hotel is also suitable for children, and would be pleased to host all members of the family for your stay. The hotel also welcomes your pet for the stay at an additional cost. The hotel is happy to have you in the restaurant for a hearty lunch or a romantic dinner. If neccessary, you may leave your car at the parking place of the hotel for an extra fee. You may also enjoy relaxing wellness services on the spot, please check the information sheet for further details. At the hotel you may go online via wireless Internet connection (WiFi). 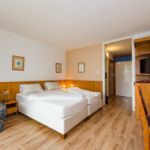 The exact list of services available at Hotel Móló Siófok (including those for an extra fee) and the exact list of equipment in a room can be found on the information sheet below and on the information sheet of the respective rooms. Catering Your booking includes half board catering at the indicated room prices. Payment The hotel is offering you the following methods for payment: cash, credit card. 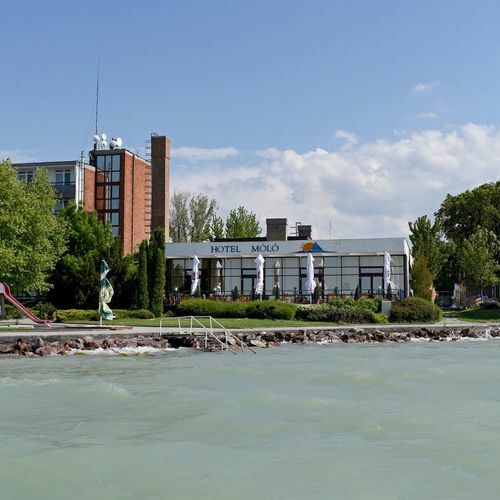 Hotel Móló Siófok requires 30% advance payment prior to finalizing your reservation. Arrival, opening hours The earliest time to arrive is 14:00, the latest time to leave the rooms is 10:00. The personnel of the hotel can speak in English, Hungarian and German with you. 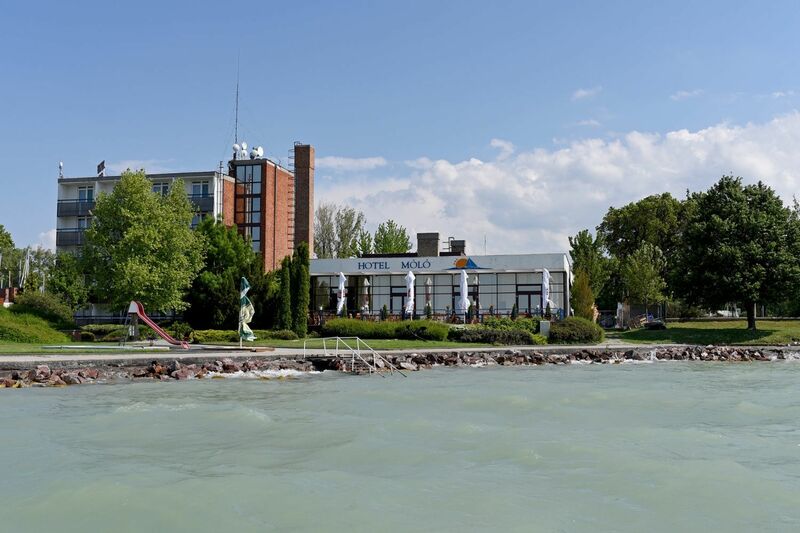 The rating of Hotel Móló Siófok is 8.3 from the maximum 10, 92 based on actual and valid guest ratings and reviews.